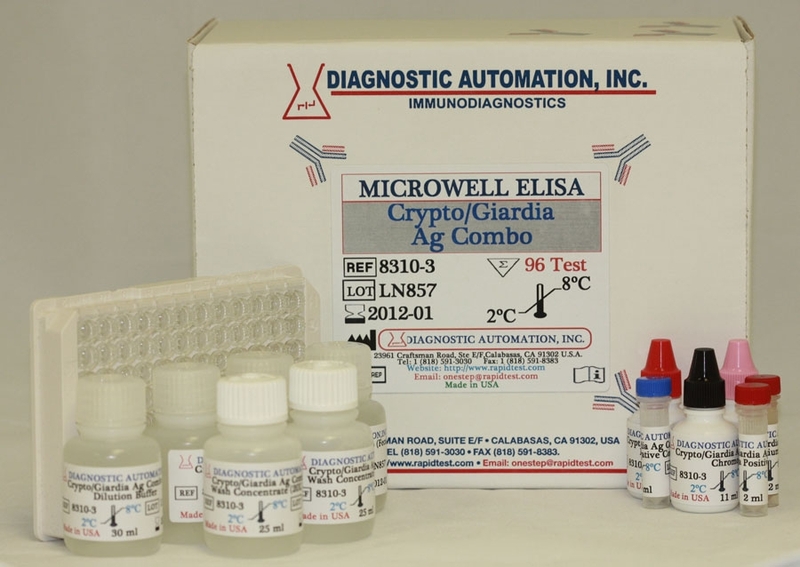 Leishmania ELISA kit | CE-GMP | 818-5913030-USA. 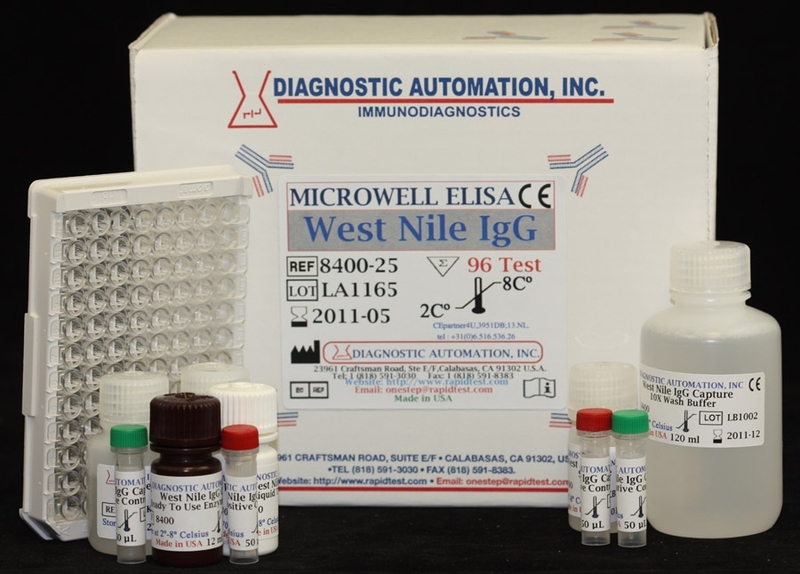 the qualitative screening of IgG antibodies to visceral Leishmania in serum. Leishmania is a widespread disease affecting millions of people around the world. Globally, Leishmania is a serious infection that has spread over several continents, particularly Europe, India, Asia, Africa, and the Middle East. Transmission of Visceral Leishmaniasis, or VL, is induced by the bite of an infected sandfly, a parasitic member of the L. donovani complex. The sand fly is the host of Leishmania after it has already been in contact with an infected agent, such as a dog. Because visceral leishmaniasis attacks visceral organs such as the liver and spleen and the immune system, typically Leishmania has been closely associated with AIDS infections. Visceral Leishmania is a serious disease with high mortality rates. 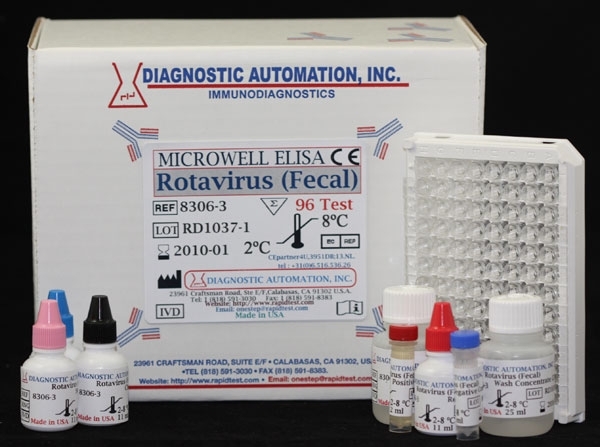 The principle of the Leishmania ELISA test is a three-incubation process with the first incubation involving the coating of the wells with Leishmania antigen. Next, the wells must be washed to remove test sample and then Enzyme Conjugate is added. In the presence of this enzyme complex and peroxide, a substrate is added, and as a result of this combination, the substrate color will turn blue. The reaction is ended with the stop solution, and what appears is a yellow color instead of the blue. 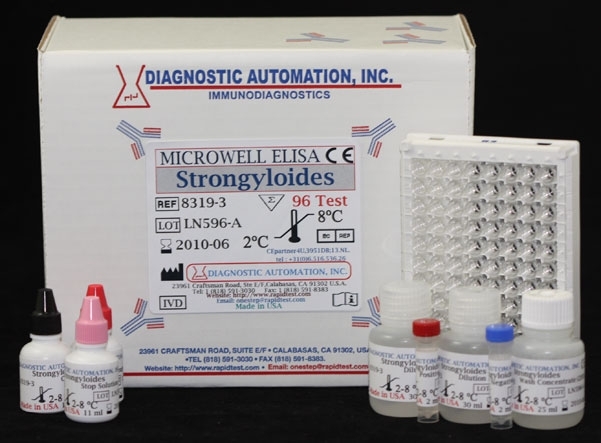 Product inserts for most Parasitology ELISA kits follow a similar method. 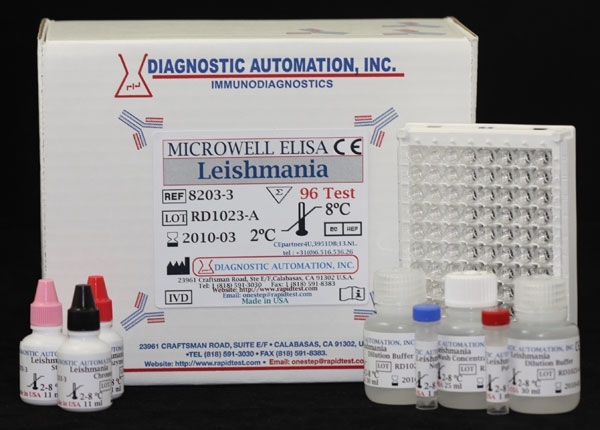 See the Leishmania ELISA Kit product insert for details on preparation, procedures, quality control, and test result interpretation. 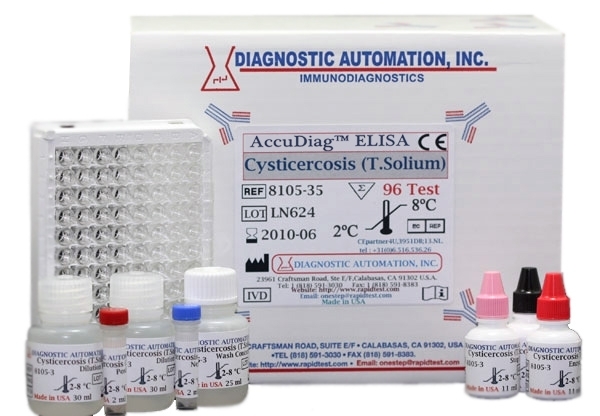 Leishmania ELISA Kit is an enzyme-linked immunosorbent assay (ELISA) for the qualitative screening of IgG antibodies to visceral Leishmania in serum.